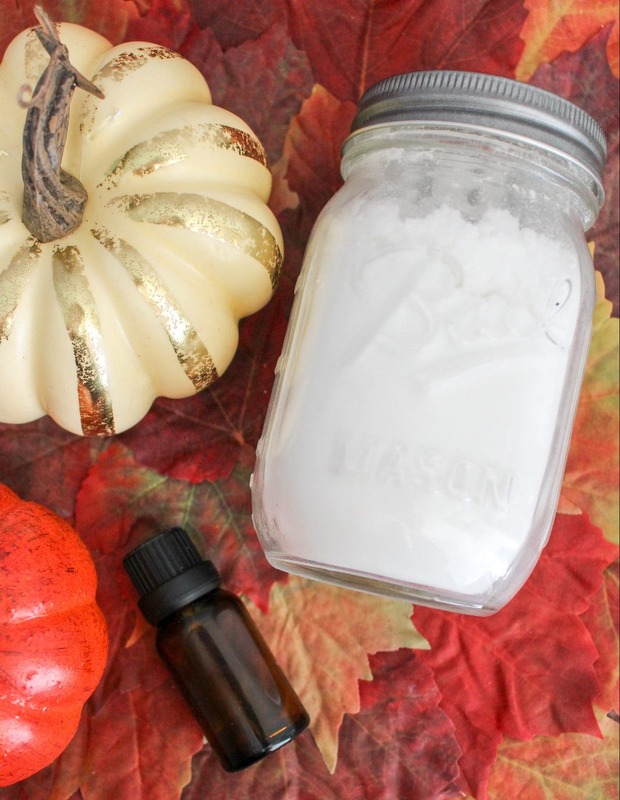 A Pumpkin Spice Cleaner that will naturally make your home smell like Fall and Everything Nice! Can’t get enough of everything Pumpkin Spice? Well, I’ve got great news! 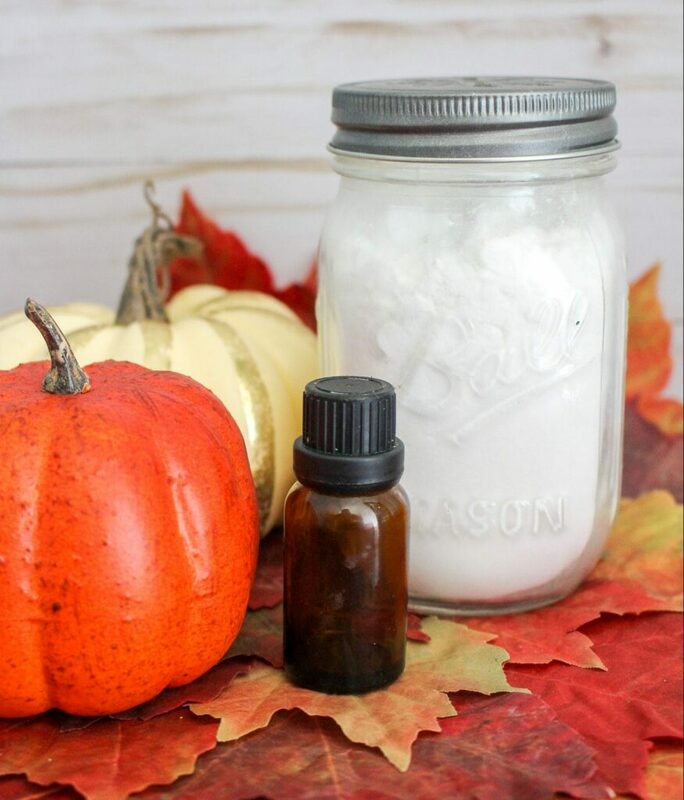 You can naturally have your entire home smelling like the yummy fragrance of a Pumpkin Spice latte! Thanks to this nontoxic Pumpkin Spice Cleaner for Carpet and Upholstered Items (such as your couch, pillows, bedding, etc). 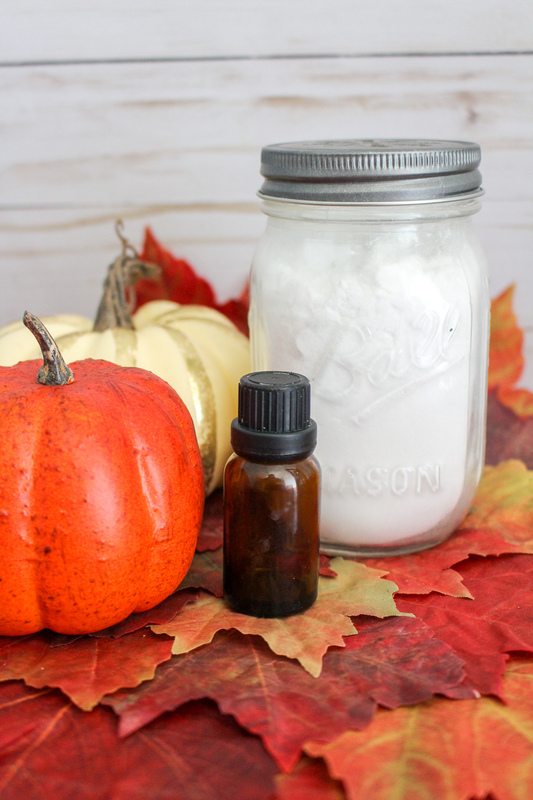 While there are plenty of pumpkin spice cleaners on the market, most of them are made with chemicals that you wouldn’t want to be breathing in. Did you know that the term “Fragrance” is a catch-all term used for a combination of up to 1,000 different chemicals. Yep. So you never quite know what’s in a cleaning product when it just says Fragrance. When you make your own green cleaners, you’ll know exactly what you are putting into your cleaning product – and what your body is exposed to at home. 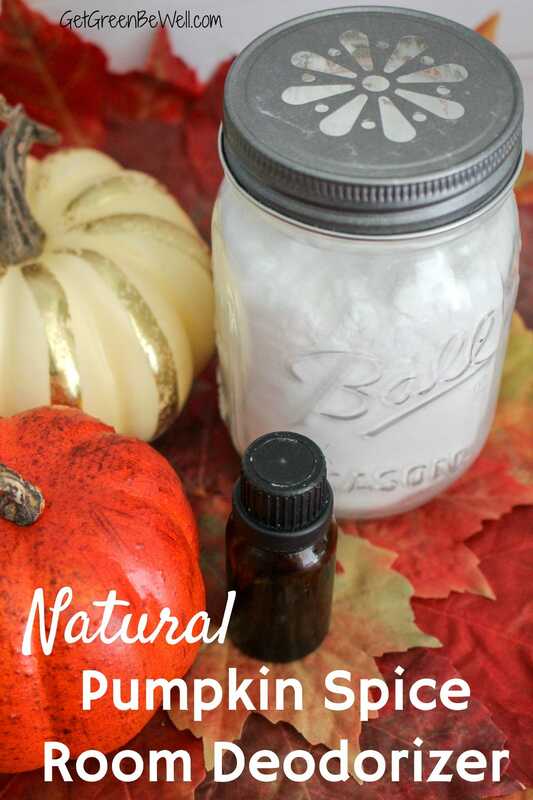 Using essential oils in your homemade green cleaners lets you customize your own fragrance with natural ingredients. This Pumpkin Spice Cleaner is actually a room deodorizer. But it could also be used as a fragrant scrub (see below). 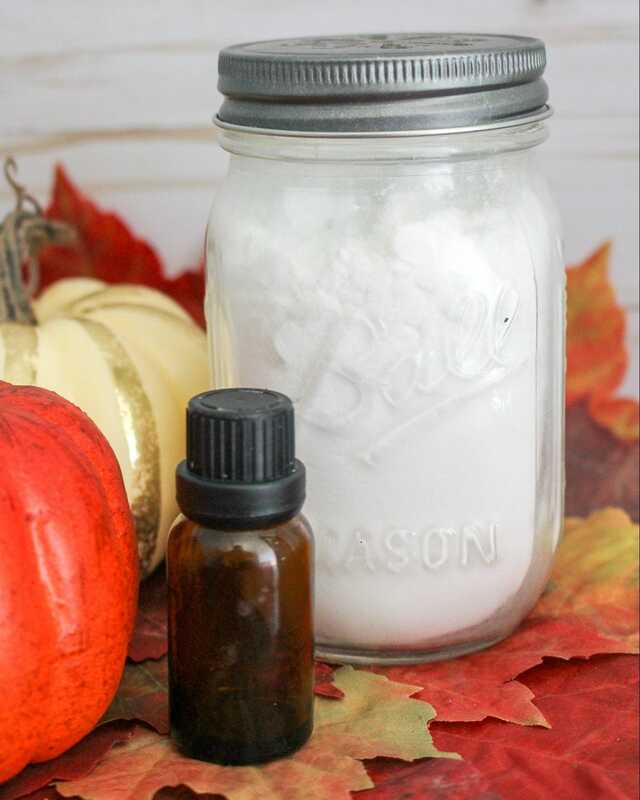 While it’s predominantly used for freshening and deodorizing carpets, this Pumpkin Spice Cleaner can also freshen up much more in your home. These items can absorb odors, debris and dust mites just like carpet can. Yet they are often places that overlooked when it comes to dusting and vacuuming. It’s about time to clean your carpet and those overlooked upholstered items. 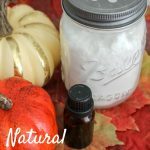 Why not freshen up and add some aromatherapy to your home for Autumn with this Pumpkin Spice Cleaner. While you’re freshening and deodorizing, check out our natural ways to deodorize a closet, deodorize a refrigerator and remove odor from a car. Once you see how easy it is to make this natural and nontoxic Pumpkin Spice room deodorizer, you’ll be making it over and over again. Add the essential oils to the bowl and mix with a whisk. Using a whisk or your fingers, break up any chunks that formed with the oils. Pour the baking soda mixture into a mason jar (use a funnel if you need to). Put a lid on and allow to sit for at least 20 minutes before using. This allows the essential oils to absorb into all of the baking soda mixture. To use on carpet, sprinkle the carpet with a light layer of Pumpkin Spice Cleaner. Let the deodorizer stay on carpet for at least 10 minutes. Then vacuum as usual. To use on upholstered items, lightly dust the item with a layer of Pumpkin Spice Cleaner. Leave on at least 10 minutes. Then either shake out the item (such as pillows, blankets) or vacuum with a hose attachment (sofa, chairs, curtains). *Note: It’s always a good idea to do a patch test first on delicate upholstered items, such as fancy throw pillows, curtains, etc. *PLUS: You could always use this Pumpkin Spice Cleaner as a scrub, too. Simply add a little water to make a thick paste and scrub sinks, tubs, countertops, dishes and more. « How Often Should I Change Hand Towels?